We happy to have a great company we adore guest post our blog today. We will be taking a look at how to save money. 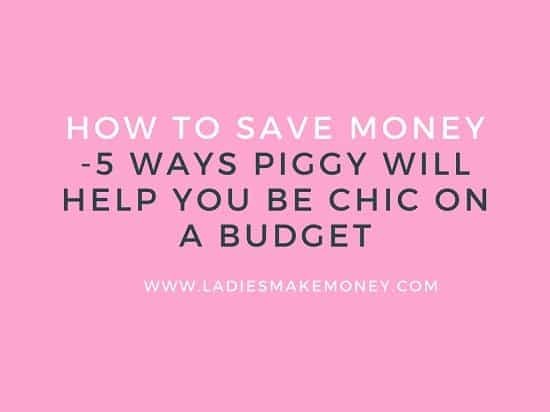 Shop online with Piggy, as they show you 5 ways they can help you be chic on a budget! We love the sounds of that. Before we get started, we would love for you to join our growing Facebook group right here! You can also join our Pinterest group by scrolling to the bottom of this page! If you are looking for guest blogging opportunities or if you need a personal affordable coach to take you from A-Z, we can help you. Get the details right here! We also did want to mention that we use affiliate links on some of our posts. This means that if you click on an affiliate link, we make a commission from it. Ladies, if you would like to start your own money making blog, you can do so now. We recommend signing up with Siteground which is only $3.95 and then following our step by step guide to creating a successful blog. How to legit live a stylish life that’s easy on your pocket, too. Looking fashionably on point is almost always synonymous to shelling out big bucks—or so you thought. And no, we’re not talking about thrift shopping, nor vintage shopping, which, while both wonderful ways to find cool pieces, can be quite a grand production to get into—not very practical for busy gals. Online shopping is the most convenient option, but it can also get expensive, and when not done strategically, it can also get out of hand. Our focus here is how to save money and still be chic. With the countless fabulous apparel and accessories options online, it’s just so tempting to buy piece after piece after piece. 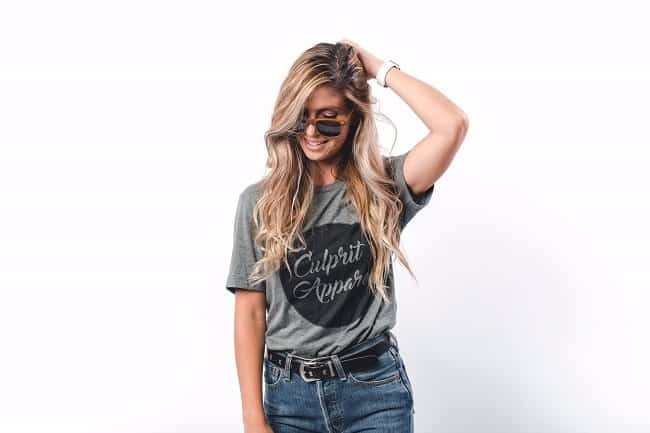 To shop with purpose, and not just finding items to express your personal style as the purpose, but rather to get the most value for money items, is key to being truly chic on a budget. Update your wardrobe through cool seasonal deals. For fall, holiday, winter, summer—and almost every other occasion—you will find cool discounts that will enable to get on-trend pieces for a fraction of their original cost. Check out eBay’s Supreme Fashion Event for uber stylish finds at a steal which will also get you 1.5% cash back. Still not sure how to save money and be chic? Keep reading. Get luxe products for free. Avail of some brands’ bestsellers, and get sample or full-sized versions of their other bestsellers or new products! Get a free fragrance sample bag with any $35 purchase from Sephora, among many other buy 1 get one deals, plus 4.5% cash back. This is a great example on how to save money the chic way. Fast fashion and designer labels are both now within your budget. Price points are no longer a problem because of the discounts you can get via Piggy. Shop the Ultimate Closet Collection at Neiman Marcus and receive a gift with purchase (Lafayette 148 Necklace) with your $350 or more and get 4.0% cash back, too. Rejuvenating your skin and your senses is crucial in attaining holistic chicness. And Piggy will help you in this department with the array of discounts on spa services and beauty treatments. Save 10% on Spa and Wellness Gift Cards by Spa Week, plus get 5.0% cash back via Piggy. Double your budget with Piggy’s cash back offers! On top of the deals and discounts, Piggy and its partner stores also give you cash back. Ranging from 2% to sometimes as much as 50%, Piggy’s cash back is honest-to-goodness cash—not rewards points, not gift certificates. It’s legit saving at its finest. Piggy is also available on Android and IOS, so you can have access to its winner saving power anytime, anywhere. There’s no effortlessly chicer way on how to save money than by installing Piggy and taking advantage of all its cool offers. Less time worrying about your budget means more time to focus on polishing your style and conquering the runway that is real life. If you enjoyed our blog we would like to have you join our email list and receive weekly money-making tips, you can join now! Don’t forget to join our Private Facebook page. The page is created to share your work, pitch your services and learn from other experienced bloggers!